Despite the unappealingly alarmist tone of the headlines, I clicked through to read more, ready but not really expecting to learn something new. If you follow these links but don’t read past the ledes, the message you get is that we’ve had it all wrong about plant-based diets being healthy, that they’re actually bad for us and that scientists are just finding out now. Sigh. Mainstream media coverage of science is still unsatisfactory. Headlines still privilege click-baity sensationalism over accuracy. 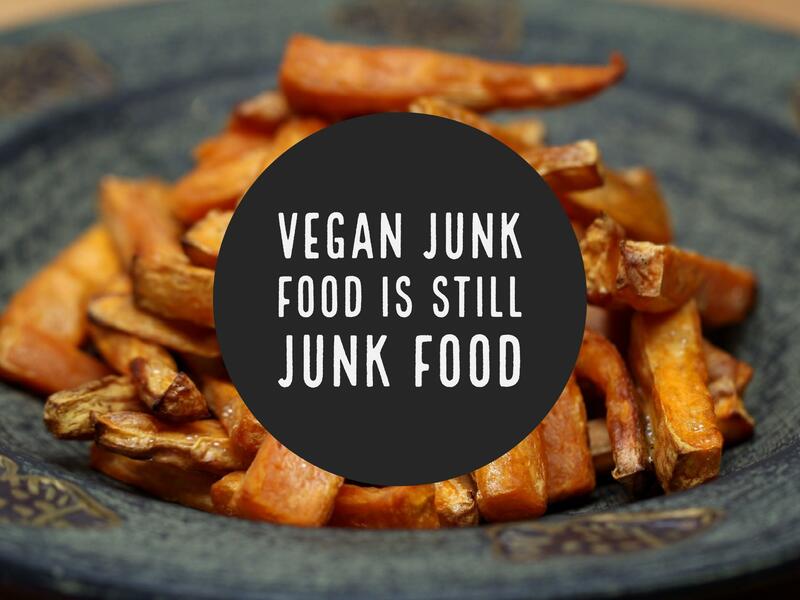 Cutting out animal products isn’t synonymous with eating healthy, or in other words, there’s plenty of plant-based junk food, and junk food is unhealthy whatever it’s made of. So no, nothing new. Actually, that’s not quite true. I learned that a recent long-term study has provided support for the idea that eating healthy plants really is good for you. Not all plant-based diets are the same. The Daily Mail actually had it right with the claim that “Being vegetarian isn’t always healthy” (emphasis mine). If it were me, I’d replace “always” with “necessarily,” though it’s less a matter of meaning than connotation. I don’t take issue with this aspect of the reporting. The fact that all animal-free foods are not equally healthy seems like common sense, and it’s a key starting point for the study provoking this news coverage. That and the idea that plant-based diets tend to be considered ‘heart healthy’, i.e., good for coronary heart disease prevention. According to the data available on this side of the Journal of the American College of Cardiology‘s paywall (if I’m reading the data correctly), it seems like eating plants, the healthy ones, is significantly better for your heart than loading up on animal products. But here’s the kicker that got the journalists all excited: if all you’re going to eat is junk, eating junk that’s entirely plant based is likely to be a little worse for your heart than eating animals. And here I thought I could give up broccoli and lentils for vegan donuts! Time to be nit-picky: since when has “associated with” meant the same as “causes”? It seems to me that even the science media covering this research is as imprecise as the Daily Mail and the Independent in one respect. Maybe I’m being pedantic, but I feel like it’s pushing precision a bit far to translate phrases like “associated with” from the original article into phrasing like “can raise heart disease risk” or “can lead to higher risk of heart disease.” I suppose “may raise” is a little better, but it’s still imprecise. Granted, I didn’t read the full original report, but the abstract repeatedly refers to associations rather than causes. I thought maybe it was because of the high “confidence interval” percentage, but I think that simply indicates strong confidence in the association. Is that enough to infer we have cause and effect? Someone who knows stats and health studies, fill me in! Eating healthy isn’t the same as not eating meat. Okay, after the ranting, I’m ready to say that I’m on board with this study. The results seem kind of common sense to me, but common sense isn’t always right. Scientific research is important, and it’s good for people to know that the science supports eating healthy plant-based foods if you’re trying to avoid heart disease. There’s something else here too, where the reporting touches on an important idea that doesn’t come through in the article abstract. Cutting out meat and other animal products isn’t the step that’s going to improve any individual human’s health or the health of the environment. It’s more complicated than that. I have more to say on this subject, but I’ll save that for another post. ← College, or the NBA?